Hard water contains dissolved minerals that can cause problems for consumers by leaving deposits in plumbing and appliances. Hard water also makes cleaning chores more difficult. Soft water offers advantages over hard water because it doesn’t have the negative effects of mineral deposits on household items. However, there are costs associated with softening hard water and an unseen benefit associated with using hard water. As water moves through rocks and other substrates, it accumulates dissolved solids. 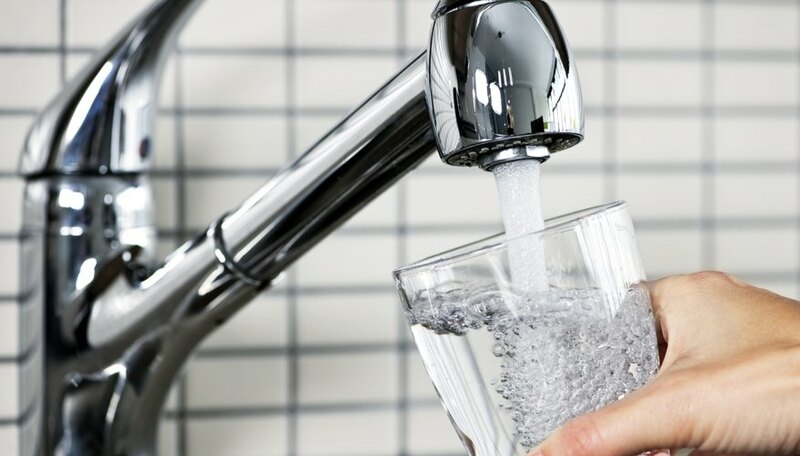 Water that has higher than normal amounts of dissolved minerals such as calcium and magnesium is considered “hard.” Levels of water hardness are determined by the amount of minerals in water as measured in milligrams per liter or in grains per gallon. Water containing more than 17mg/l and up to 60 mg/l is considered slightly hard, and water with 60-120 mg/l is moderately hard. Hard water ranges from 120-180 mg/l and water with amounts greater than 180 mg/l is classified as very hard. Signs of hard water can be detected by the effects it has on plumbing, laundry, dishes, appliances and bathing. In contrast, soft water contains much less calcium and magnesium than hard water. Soft water has less than 1 grain per gallon, or 17 mg/l, of dissolved minerals. Soft water lacks the mineral taste of hard water and does not leave residue on skin, dishes or appliances. Water in some parts of the U.S., such as the East Coast and Pacific Northwest, is naturally soft. Hard water can be softened through chemical and mechanical processes in a home water-softening system. Hard water can be an inconvenience around the house because the minerals have a negative impact on cleaning products, appliances and plumbing. It interferes with the effectiveness of many household cleaning products. Chores such as laundry and dish washing may require extra detergent to get the job done. The excess minerals in hard water prevent the active ingredients in some cleansers and detergents from working correctly, so dishes and clothing aren’t as clean compared with items cleaned in softer water. Clothing may retain odors or look dingy because they weren’t properly cleaned, and glassware may have spots or a hazy film. 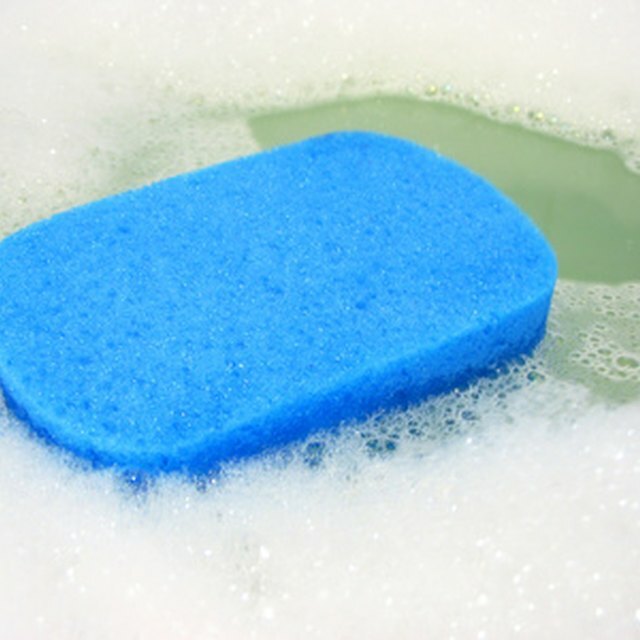 The minerals in hard water combine with soap suds to make a sticky film in bathtubs, showers and sinks. This film can also coat skin and hair, making skin dry and irritated and hair dull and unmanageable. Appliances that use water, such as washing machines, dishwashers, hot water heaters and boilers, accumulate mineral deposits called scale. Scale reduces the efficiency of these appliances and may shorten their lifespan. Scale can build up in plumbing, requiring clean-out or replacement. While hard water is bad for your plumbing and appliances, it is not bad for your health. One advantage of hard water is that it is a source of dietary minerals. Calcium and magnesium are important minerals the body needs for bone and muscle growth and function, and regulating blood pressure and enzyme actions. Consuming hard water can be a source for these minerals. Hard water becomes softer through a process of ion exchange. The positively charged calcium and magnesium ions (+2) in hard water are exchanged with sodium and potassium ions (+1), which also have a positive charge. Each calcium or magnesium ion is exchanged for two sodium or potassium ions. The exchange requires the presence of tiny beads of resin in a holding tank. The sodium and potassium ions cling to the resin. When hard water washes over the resin, the sodium and potassium ions are released into the water and exchanged for the calcium and magnesium ion, which are then held fast by the resin beads. The water flowing out of the system is soft. Cleaner laundry, longer-lasting appliances and no sticky soap buildup are the main benefits of water softeners. Consumers use less laundry detergent for soft water, as well as less of other types of cleaners and detergents. Clothing is brighter, and sinks, tubs and showers require less cleaning. Water appliances such as boilers, water heaters and dishwashers typically run more efficiently and need less maintenance. Soft water also does not cause scale buildup in pipes and plumbing fixtures. Soft water users often report their hair and skin feel better, too. Negative points about water softeners include the cost and effort involved in maintaining a water-softening system and health issues related to soft water. Water softener salt must be added on a regular basis, and problems can arise if there are iron or other contaminants in the water. The system must be backwashed periodically, which uses a lot of water and can be detrimental to septic systems. Softened water contains more sodium than hard water, which can be problematic for people who must limit their dietary salt intake. Because much of the calcium and magnesium have been removed, soft water does not provide a source for these minerals in the diet. Mentzer, A.P.. "What is the difference between hard and soft water?" Sciencing, https://sciencing.com/difference-between-hard-soft-water-6465993.html. 29 October 2018.